I'm rather ambivalent about this book. I'd rate it somewhere between "it's ok" and "I liked it". There were some outstanding gems, such as Brian Gomez's "a/p", Jade-Yi Lo's "The girl with the ruby red shoes" and Rafil Elyas' "Progress report", and some pretty good pieces, such as Dina Zaman's "How to stay married", Clarissa Tan's "The visit" and Janet Tay's "The airport" but the overall feel of the book was an underwhelming meh. The second anthology, Readings 2, is a much better read and it was a good thing I picked that one up first. If I had started with this I would most likely have given that one a miss. I picked up A Most Peculiar Malaysian Murder because it was RM8 for a hardback. I'd been wanting to read it for a while, but paying Rm30+ for an author I'd never read before... and have hardly heard off was always a little too off-putting, especially when there were always cheaper books around by more well-known authors. But anyway, so it was cheap so I took the chance. *shrug*. Chelsea Liew, a Singaporean, has been accused of killing her rich Malaysian husband. In a bid to appear as a caring government, Singapore sends Inspector Singh to Malaysia to help solve the case. It was a quick, breezy read; nothing to puzzle your head over too much; the ending... well. Hm. I don't know, it just wasn't quite that satisfying, which is why this isn't a 5 out of 5. It has a very local feel to the story, and I enjoyed the Malaysianisms thrown into the story, though at times I felt that she over-explained things. The language is a little too simplistic for my taste, possibly because she also writes children's books, though that's beside the point. 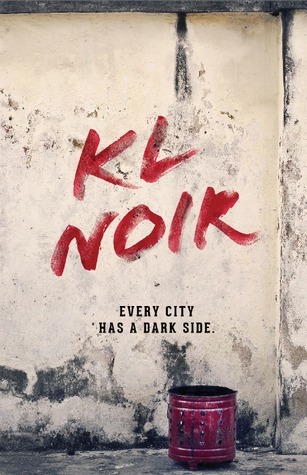 Next on my (local) to-read list is KL Noir: Red. #fireplace: Spiritually, a shaking; deeper still, he cuts. 26 At that time his voice shook the earth, but now he has promised, “Once more I will shake not only the earth but also the heavens.”[ref: Haggai 2:6] 27 The words “once more” indicate the removing of what can be shaken—that is, created things—so that what cannot be shaken may remain. There is a shaking going on. A shaking we cannot see and sometimes do not feel, but nevertheless shakes us to the core. Friday morning after the crazy wind and storm, I was driving to work and I had this crazy image of a small group of people praying in a tiny room while the storm raged around them. And it was as if it was saying that this storm - this physical storm that devastated our little island - is just a tiny outflow of the spiritual storm and shaking that is happening around us, right now, right here. And then I had goosebumps. Then came the thought, the always present, ever nagging thought, and what are you doing about it?Because that's the question isn't it? That's the really important question. Josh once described me as an onion, with layers being peeled away to reveal new things beneath. I think those were the words he used, or at least I remember them that way anyway, and you know the thing about onions? As every skin is shed, it makes you cry. It makes you tear up. I don't know if God's tearing up, but I do know that I've been crying a lot. It's probably a mix of hormones and stress and a lot of other factors, but the underlying factor under it all, is the feeling of unworthiness, the feeling of being unwanted, forgotten. Maybe I'm not sleeping well enough, or maybe this shaking that's going on is shaking me up, but I had this dream, I think last night or so (no, not about the books, which was bizarre enough in its own way). In this dream, everyone else, all the alumni of my previous youth group, were invited to some big celebratory do, like some kind of reunion. And I was not invited. Because in some way, I was never part of them. Not truly, never in the heart. And at the risk of jumping off track, I'm thinking of Eustace when he was turned into a dragon. And it's the same; the peeling of an onion, and Eustace trying to dig off his dragon skin; sometimes I feel that way, as if I dig at scabs, emotional scabs, and the pain, oh, the satisfying pain, that you revel in, just to make sure you still feel something, that you're something more than a moving statue. And sometimes, more than once, I imagine if I were somewhere else, some person else, and not who I was brought up to be, would I be cutting, would I be drinking myself into a stupor, breaking things, anything to make me feel alive? And I remember Aslan, coming in, and with one deep cut, deeper than anything else, breaking through the dragon and making Eustace human again. It's a sense of something moving, something happening, something poised to erupt. It's as if, with our cultivated elegance, we've lost touch with the primal in us, the thing that makes you wail, undone, in the presence of something bigger than yourself. And so we fail in worship, because we are too careful. We're careful we're in the right key, we sing the right words, we play the right notes, we look the right way, we do the right things. And we ignore the deeper urge that is trying to pull us deeper and deeper and deeper in, instead allowing ourselves to be wound up in considerations of whether the band is too loud, or the drums are too noisy. I am a tightly wound coil, almost springing, but not yet, not quite yet; waiting. In my nightmare, I had this huge treehouse full of books that I picked up cheap over many years, over many sales, which I hadn't yet read. That was the good part. But my treehouse was in this zone gazetted for construction or something and I don't know why but I forgot to move the books. And then the machines and stuff came. 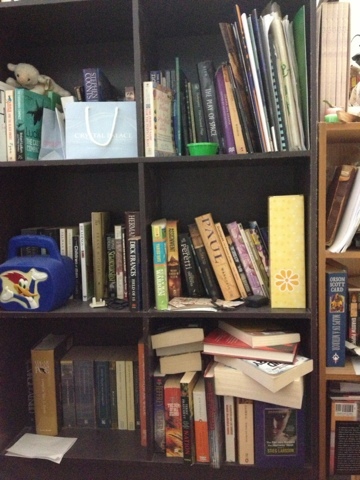 AND THEN KIDS START COMING ROUND TO STEAL MY BOOKS. And I lost half of them. I think my psyche is telling me something. Broken Bridges is the story of a boy who couldn't wait to leave his small town home of Ipoh, and how he broke his father's heart in the process. It is the story of a boy, grown up, coming back to change his home town, and breaking his father's heart again. Broken Bridges is the story of the rift between father and son and how they try to make amends giving in, or apologising. It is the story of the generation gap that was and that is, where parents do not understand their children and try to make them copies of themselves, and where children do not understand their parents and do not bother to try. Broken Bridges is the story of a decision between maintaining tradition and culture and venturing out into something new. It is the story of expectations made and dashed, traditions clung to and discarded, promises given and broken. Broken Bridges is a story of love. Love of the new, love of the old, love of a town, love of a lifestyle, love of a woman, love of a child. Broken Bridges is a story of many things. But no physical bridges were broken in its making. I thought it was a good musical, deserving of the many Boh Cameronian Arts Awards it garnered. It tells a strong story, one that resonates with the local crowd. And boy, was it a responsive crowd at the Sunday matinee. The first act was well-paced. I hardly realised that almost an hour had passed when suddenly it was the end of the act. The second act felt a little bit rushed though, as if there was too much material to be covered (and there was). What didn't work for me was placing the Teacher (Theresa Leahy) as part of the "aunties" group. It was a little awkward that in the scene where the boys visit the pub, and the aunties come in, that they addressed her as "Teacher" (what teacher would dare be seen at the pub in those days?). As it was, I thought her role a little pointless, especially since she didn't really have any role-specific lines and her accent was too different from the rest of the cast & ensemble. Choreography wasn't quite tight enough in the opening scene (nerves, maybe) but that's the most I have to say about that. Singing/talking complaint is the usual Malaysian diction problem but this was much clearer than most. Story wise, I would have liked the love story between Ming and Mei Ling to have unfolded a little slower, rather than just a discussion about a book and a song and then oh they kiss but then again, there wouldn't have been enough time for that. (It would also have been interesting if Siew Yee were still around and had a jealous fit. Hah!) And it would have been a much better closure if at the end, Ming didn't hear the story from the waitress, but from his friend Leong instead. I mean, what waitress would bother to go and learn the history of the place she's working at in such detail? So overall, good show. Go catch it if you can. Broken Bridges runs at Penangpac until 8 June.